Usually burrow into bottom sediments, using their large foot to firmly achor themselves. Blood arks live in shallow waters, while ponderous arks live in both shallow and deep waters. Transverse arks often do not burrow, but rather live among bay grass stems. Found in the salty waters of the lower Chesapeake Bay. 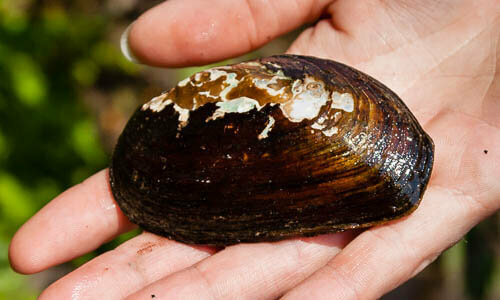 Arks are boxy bivalves with thick, white, ribbed shells. 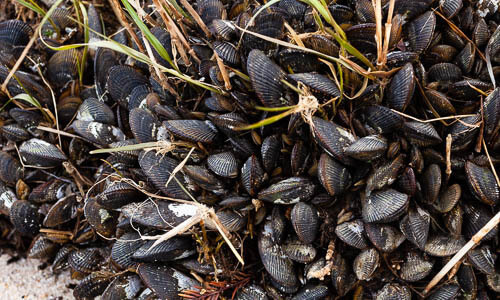 They live in the salty waters of the lower Chesapeake Bay. Three species of arks can be found in the Chesapeake Bay: the ponderous ark, Noetia ponderosa, the blood ark, Anadara ovalis, and transverse ark, Anadara transversa. Arks have thick, white, boxy shells with many ribs. Ponderous arks are heart-shaped when viewed from the side. Blood arks and ponderous arks are often covered with a thick, dark brown, felt-like "periostracum," or outer-most layer. The ponderous ark is the largest of the three species, growing to 2.5 inches in length. The transverse ark is the smallest, growing to about 1 inch in length. Arks eat plankton and detritus, feeding through a figure eight-shaped opening in the mantle. Spawning occurs throughout most of the year, with peaks in summer and autumn. Gametes mature in the spring. Arks’ thick, heavy shells are able to withstand strong waves and currents. 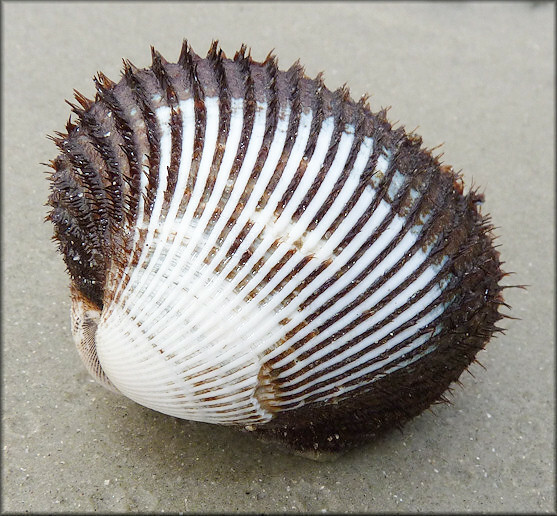 Ark shells are often found washed up on lower Bay beaches. 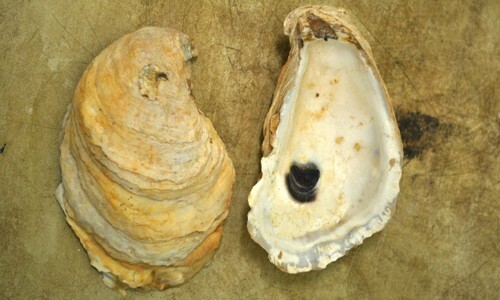 The blood ark gets its name from its red blood; most other bivalves have clear blood.